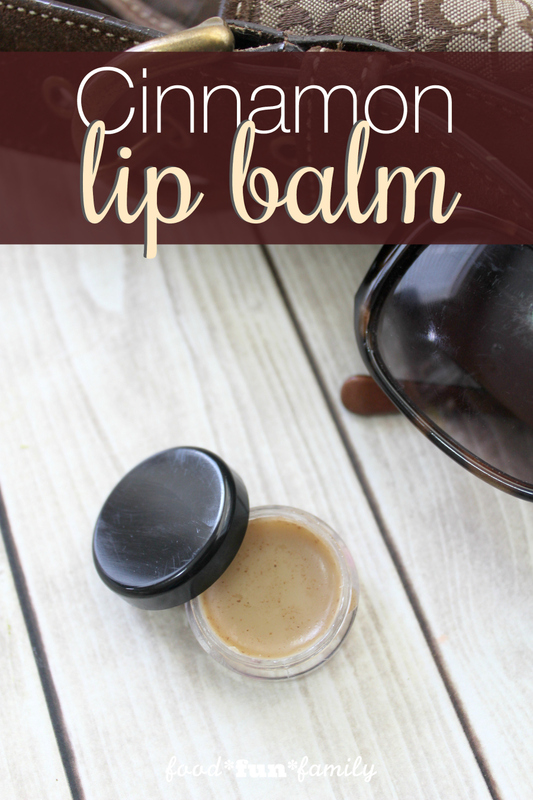 Not only is homemade lip balm super easy to make, it saves you money and contains no artificial flavors, colorings, or preservatives, which means that it is much better for your skin. Cinnamon has the benefits of tasting and smelling fantastic (it’s one of my favorite scents and flavors ever! ), and it also acts as a natural colorant for your lip balm. Cinnamon oil is known to work as a temporary lip plumper, being a “hot oil” you only want to use it in conjunction with a carrier oil like coconut oil. Coconut oil and Vitamin E condition and restore healthy lips in the hot or cold weather. Note: I have included links to purchase the ingredients that you need that you might not have at home already. The links are affiliate links, which means that I earn a small commission if you happen to make a purchase, but the prices are never higher for you. 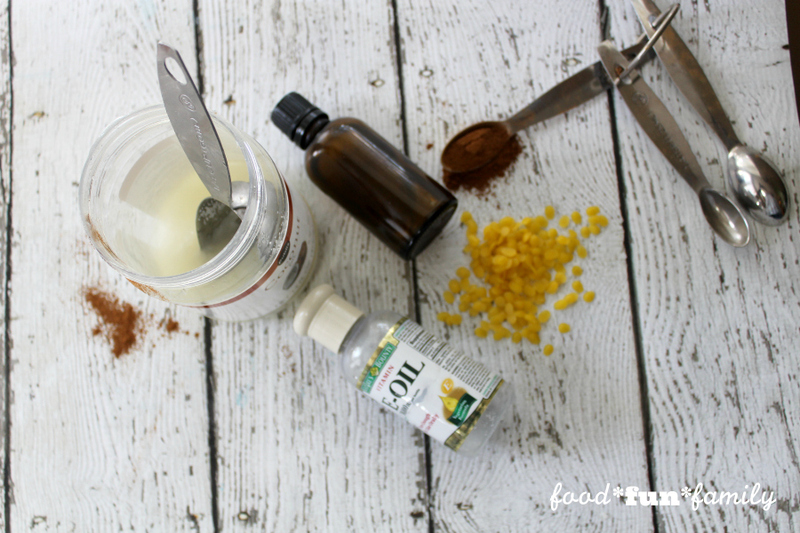 **To up the conditioning factor in the winter you could also add in 1 tablespoon shea butter to the pot while melting your mixture. You can also pour your lip gloss into these tubes if you prefer it that way. 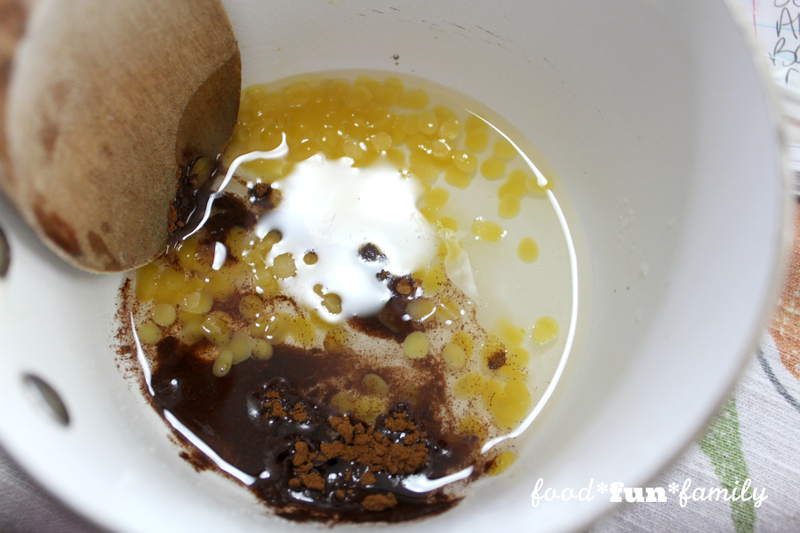 Place beeswax, coconut oil, and cinnamon in a small saucepan over medium low heat and stir frequently until completely melted. (Add shea butter as well, if desired). 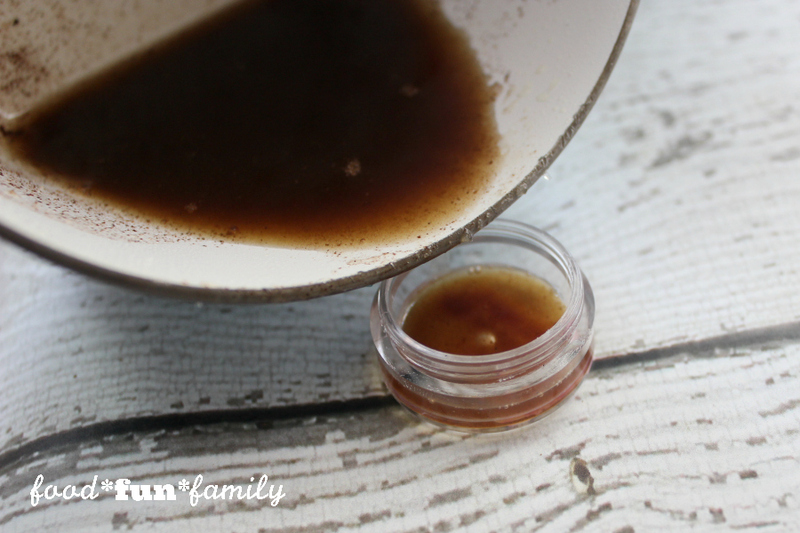 Remove from heat, stir in cinnamon essential oil and Vitamin E oil. Carefully pour into pots or tubes. Allow to cool completely until set, leave undisturbed for 3 to 4 hours. Keep in a cool dry place, the beeswax helps it stay firm but will melt if left in hot car or somewhere similar. This recipe makes approximately 8 small pots. 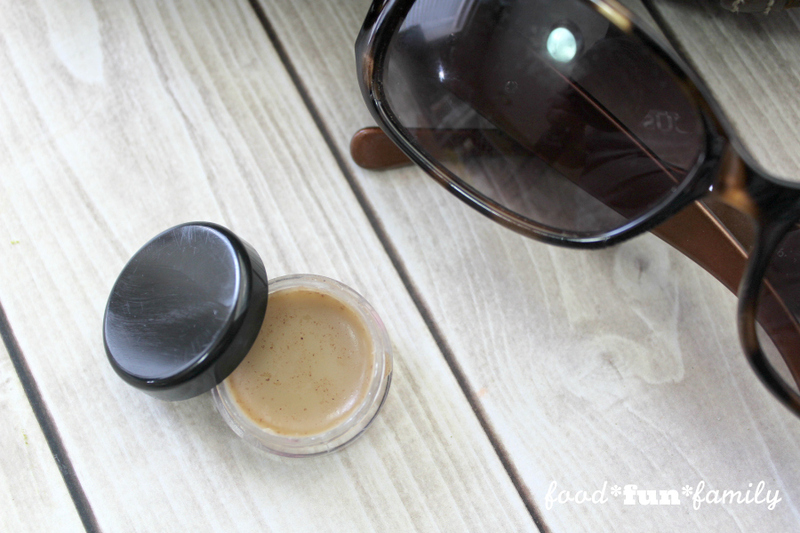 I’ve never tried making my own lip balm before but I think I’m going to have to try this! And I also wanted to mention that the Wednesday “To Grandma’s House We Go” link party just started over at grandmashousediy.com and I thought you might be interested in joining it, thanks!